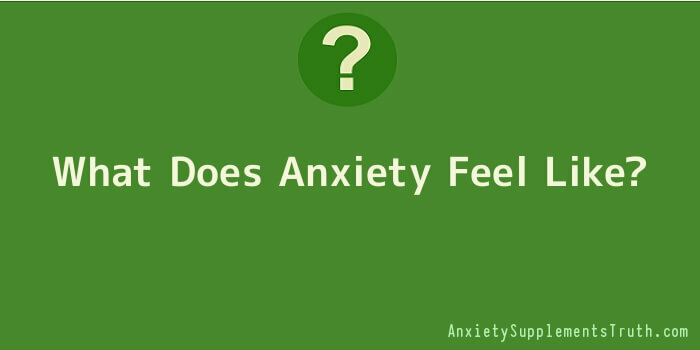 What is anxiety and what are anxiety disorders? Anxiety disorders are the most common mental illness in the United States affecting over 40 million adults. One type of an anxiety disorder is termed Generalized Anxiety Disorder (GAD), which affects 6.8 million adults. Women are twice as likely as men to suffer from this disorder. Pressures of daily life for women in the 21st century are incredibly demanding. As the cost of living rises and yesterday’s luxuries are now expected necessities, women today are not only mothers, wives, housekeepers and cooks but are expected and in most cases must work fulltime and may even have to hold multiple jobs in order to maintain societies’ standard of living. Anxiety is rampant. Depression is rampant. Disabling anxiety attacks are plaguing women at an exponential rate as daily stress and demands to maintain today’s ideal’s increases. Fleeting moments of stress and worry are expected. When these feelings become overwhelming and the symptoms last for over six months, an anxiety disorder may be present. People who experience anxiety have persistent, excessive, and unrealistic worries about everyday things such as money, health, family, work and often dwell on disaster, even if there is no apparent reason for an improbable outcome. They realize the anxiety they are feeling is more extreme than the situation warrants, but do not know how to stop the excessive worrying cycle. Other debilitating symptoms include tension, and an overwhelming, irrational fear sometimes accompanied with feelings of dread. This fear can be fear of losing control, constant worrying about overall health, and thoughts of death. People with anxiety disorders have an exaggerated view of everyday problems in their life, and the life of others, such as family and friends. An anxiety disorder is diagnosed by your physician or mental health provider. You and your doctor will go over your symptoms and medical history. If you are seeing a mental health provider, you may be asked to fill out a psychological. These symptoms most occur 3 or 4 days as week and continue for over 6 months. Why Is It Important To Your Health To Resolve Anxiety Issues? It is important to consult a doctor because chronic anxiety may result in long term, serious health issues. The relentless fear, stress, and worry may lead to heart problems and hypertension. In addition, over ½ of adults diagnosed with anxiety disorders are also diagnosed with depression. Now, you know the symptoms of anxiety, here are some possible causes of the disorder. So, what does anxiety feel like? People plagued with anxiety have trouble dealing with daily life because of an excessive fear, and uncontrollable worry, about money, death, family, relationships, and work as well as an irrational fear of normal situations. People are overly tired, can struggle with nausea, tend to fidget, are plagued by headaches, and generally suffer from widespread pain throughout their body. Additional symptoms include difficulty in swallowing, trouble breathing, occasional bouts of hot flashes, and painful rashes.